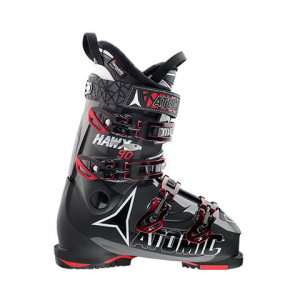 For the intermediate skier looking for a moldable ski boot, look no further than the Atomic Hawx 90 Ski Boots. Hawx is Insulated with the Silver Liner 3M Thinsulate for all day warmth in any condition, and features Sole Flex for enhanced balance and control underfoot. WTR Sole Grips make for easier walking while the Memory Fit Technology allows you to personalize the fit of the cuff, liner, and shell.